Murder Mystery Team Building, Los Angeles California. Murder Mystery Dinners and Murder Mystery Team Building Activities Burbank, Los Angeles, LA, California and Las Vegas, Nevada. Dial M Murder Mystery specializes in large team building activities for corporate events. 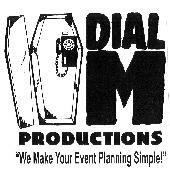 Dial M Productions, CEP (Certified Event Planner), Corporate Event Planners, Los Angeles, California, Southern California teambuilding and murder mysteryparty planners. Los Angeles California, corporate event planners with team building activities and a wide variety Murder Mystery entertainment! 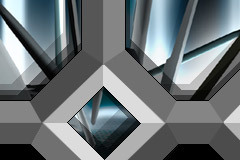 Dial M Productions, CEP (Certified Event Planner), Los Angeles corporate event planning and teambuilding specialists in Los Angeles, California. Murder Mystery dinners, Murder Mystery private parties and Murder Mystery team building corporate events in Los Angeles and Nevada. We offer personalized scripts and full scale productions. Comedy, team building, and interactive personalized events. Well known for our interactive theme parties, murder mysteries, murder mystery dinner shows and murder mystery team building activities. Complete custom murder mystery parties at your location or ours. Our company is Nationwide with branches in Los Angeles, Nevada, Palm Springs, Santa Barbara, Southern California and Northern California. We understand the special needs required for team building corporate events. We're a creative, experienced company who you can count on for all your team building events. Our Team Building Murder Mystery events are social, while inspiring teams to work together to solve the "whodunit." When you're working with Dial M, you're working with the best. With over 30 years of experience in corporate entertainment, all events are designed to accomplish your goals. Our productions are used by the United States Army, Air Force and Marines to boost morale overseas. Our client list reveals that most major companies have used our services to inspire and motivate their managers and employees with office parties and corporate retreats. 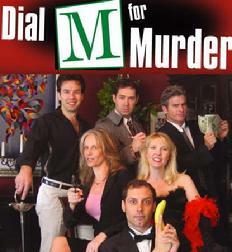 Let Dial M Murder Mystery get your message across! 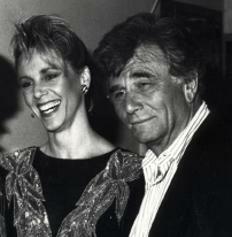 "Impressive... An appealing cast... a terrific time." "Interactive extravaganza...guests are invited to participate the moment they walk in the door...Outrageous." "A Party You'll Die For"
It's like any other dinner party...until "POW", "WHAM", "CRASH", your dinner companion falls over dead! No need for alarm; they're LA's finest professional actors from Dial M Murder Mystery posing as dinner guests, playing out a murder mystery whodunit for you to solve. From the moment you meet the Mistress of Murder the plot begins to thicken. Each guest receives a clue card. You will then search for the guest who can tell you what this card means. It it about a will? How about revenge? Is one of the Waiters a suspicious character? Find a match and the mystery is afoot. What a great way to get the party going! A perfect mixer for all social occasions. The mystery continues as our Murder Mystery soundtrack. Detective Riley will help your guests piece together all the clues, solve the mystery, and win a prize! Dial M Murder Mystery will personalize your party when given inside information about your guests or company. "We Make Your Event Planning Simple!"